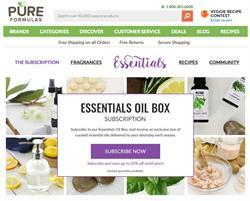 MIAMI, FL--(Marketwired - June 02, 2016) - PureFormulas has launched a subscription for the Essentials Oil Box, a seasonal program including curated essential oils for aromatherapy. Participants will receive a starter kit with three different essential oils, a diffuser, and collectible recipe cards. It will be followed each season by three new essential oils and new recipe cards with a myriad of ways to use them for home, beauty and wellness. Subscribers will enjoy access to exclusive content on how to make homemade soap, candles, cleaning supplies, lip balm, beauty scrubs and more. They will also have access to special discounts on other aromatherapy products. "The use of natural essential oils for aromatherapy dates back millennia, but is increasingly popular today," said PureFormulas CEO Jose Prendes. "We have packaged some of our most popular products into a subscription box that will translate into significant savings for our loyal customers." New seasonal boxes will be shipped in September, December, March and June. For more information visit https://www.pureformulas.com/essentials. Headquartered in Miami, FL, PureFormulas is a leader in the online health supplement space, distributing GMP-certified quality products that include dietary supplements, organic food, beauty products, sports nutrition supplements, and pet products. 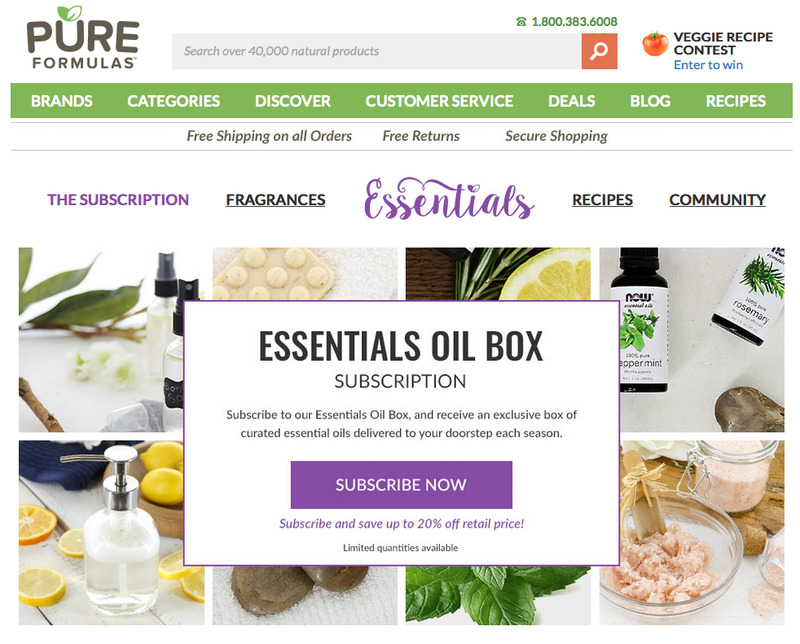 PureFormulas is committed to helping its customers live life pure, featuring a secure and friendly online shopping experience, with free shipping on more than 40,000 products. Our professionals work with nutritionists and healthcare advisors to keep up to date with customers' needs and healthcare trends. Founded in 2007, PureFormulas has been recognized for outstanding customer service four years in a row, with the Bizrate Circle of Excellence Award, including its highest distinction -- the Platinum Award -- in 2015. It has also ranked consistently among North America's top web merchants. For five consecutive years, Internet Retailer has included PureFormulas on its annual list of Top 500 online retailers. For more information, please visit: www.pureformulas.com.